Avi Shemtov leaves a big impression. The first time I meet him is a few years ago at a class he teaches regularly called “How to Run A Food Truck” (at the Cambridge Center for Adult Education). As the founder of The Chubby Chickpea, one of Boston’s best-known—and longest-running—food trucks, Avi is perfectly suited to teach the class. Around the table are hopeful faces eager to hop on the wagon and take their food idea on the road. Avi is affable, succinct and dead honest as he breaks it to us: Running a food truck is no small potatoes. There’s a laundry list of rules, regulations and requirements: a detailed business plan, startup and operating costs, revenue projections, complex local permitting processes, food safety and fire safety laws, truck outfitting and operating procedures. We learn that there’s a strict limit to the number of fuel types allowed on board. You can’t just park anywhere. The bulk of the food needs to be prepped and cooked off-site in a certified commercial kitchen. Service hours are severely limited compared to those of restaurants. The list goes on, and the romantic dream of cruising around dishing out Grandma’s apple pie from the back of a van are quickly replaced by a bracing reality check. Running a food truck successfully is hard. The Chubby Chickpea’s menu is a modern take on traditional Israeli favorites, with a focus on fresh, local ingredients. Laffa wraps are the truck’s signature sandwich, featuring falafel (fried spiced chickpea balls), chicken shawarma, chicken schnitzel (not the German kind, but a style that European Jews brought to Israel) or fried eggplant wrapped in traditional Israeli bread with creamy hummus, crisp salad and garlicky tahini sauce. A variety of add-ons are offered at no extra cost, including pickles, banana peppers, sweet mango sauce, mixed greens or housemade schug (hot sauce). All wraps are also available as plates, served with traditional pita bread from Israel. When it first opened in 2010 in in Canton, Massachusetts, The Chubby Chickpea was a tough sell: Being a niche-concept truck in a small town wasn’t easy. So when the Boston food truck scene was starting to explode and Avi had the chance to be the 14th truck in the city, he grabbed it. His business has continued to grow, expanding to a decent-sized company with a good team to back it. Chef de Cuisine Chris Skikas, Sous Chef Frank Drury and Operations Director Matt Cohen play key roles in the truck’s ongoing success. He attributes his verve, tenacity and business acumen to having gotten an early start in the industry. “My dad started this journey for himself and me,” he says. “He came over from Israel, started as a dishwasher and moved his way up. 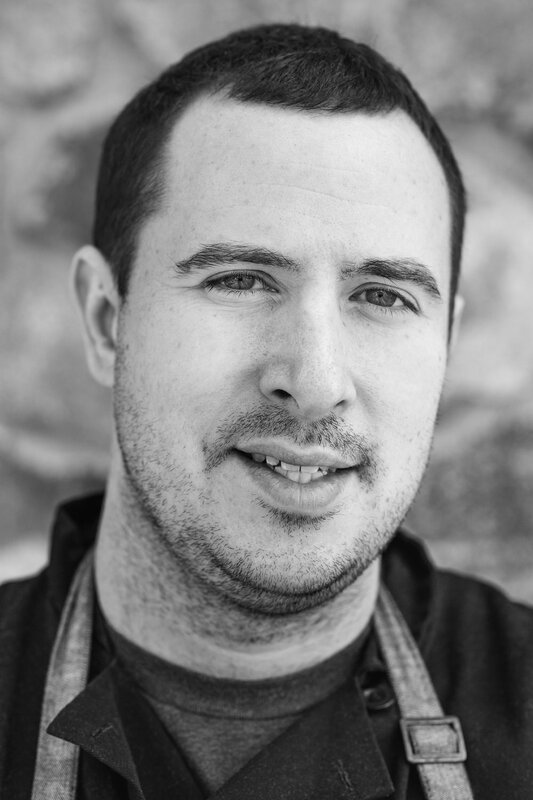 He was a serial entrepreneur; his first venture was Espresso Pizza in Nashua, New Hampshire, which is still going and now run by his cousin.” Avi grew up in the basements of his dad’s restaurants; he’s been cooking since he was 4, and got roped into the restaurant business after college by his father. 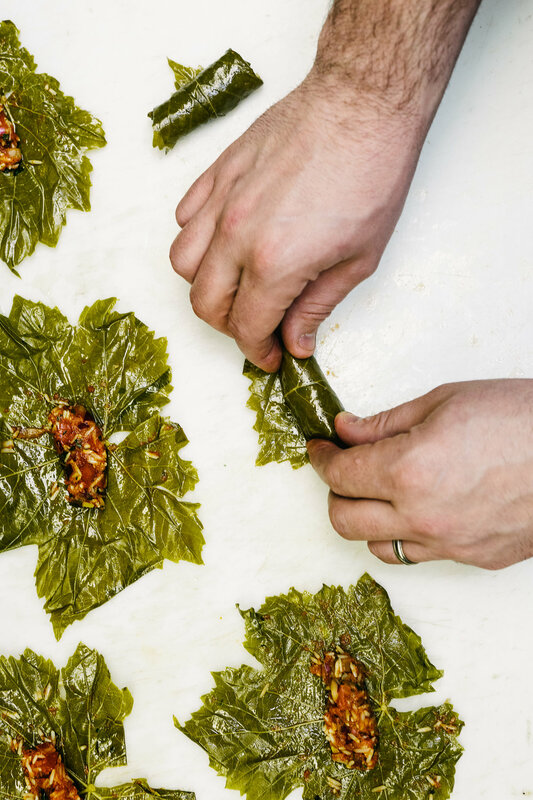 Even so, he already has a second concept on the road: Tapped is the first beer-and-wine catering truck of its kind in Boston, and another one is in the works to open in Nashville, Tennessee. He even manages to spend quality time with his two young kids and his wife. Soon after, he had an awakening of sorts: In all his busy-ness, he hadn’t realized how much food he was eating in a day. So he went on a yearlong quest to develop healthier habits and educate himself about nutrition. The result? A weight drop of nearly 60 pounds, the realization that realistic compromises and forgiveness work far better than strict dieting in the long run—and a whole new appreciation for locally sourced food. Food sourced responsibly and staff paid sustainably is his new business model, and he’s embodying it in his latest venture, Salt & Sickle. As of this writing, the brick-and-mortar restaurant is slated to open by the summer of 2018, and is focused on locally sourced, Mediterranean-influenced upscale modern American food. With his unstoppable energy, entrepreneurial spirit and love for family and community now housed in a smaller frame, it’s clear that the biggest thing about The Chubby Chickpea guy is his heart.